Why our Oatmeal shampoo is the winning formula! Let’s take a look at our popular Oatmeal shampoo shall we? Your best friend deserves the best of the best when it comes to a healthy, shiny coat. We look after our hair so it’s imperative to also look after theirs. Our Oatmeal shampoo contains a super high content of skin loving Colloidal Oatmeal, 25g/L where most Oatmeal shampoos only contain 15g/L. But what does the Oatmeal actually do we hear you ask? Well, this powerful ingredient helps provide relief from itching and reduces inflammation. Super comforting for your best friend which is a definite bonus. Alongside Oatmeal we have jam packed St John’s Wort, Chamomile, Witch Hazel, Oat Kernel, Calendula, Honey, Aloe Vera, Orange Oil and Lavender Oil into the formulation making it the ultimate calming and relaxing experience for both dog and owner. Bath time can be a tad stressful after all! And what’s this other ingredient we have added? Ordenone? This little gem captures and eliminates foul odours by entrapping malodorous molecules without affecting the normal bacterial processes of the skin! You best friend won’t only just look shiny and clean but smell amazing too! 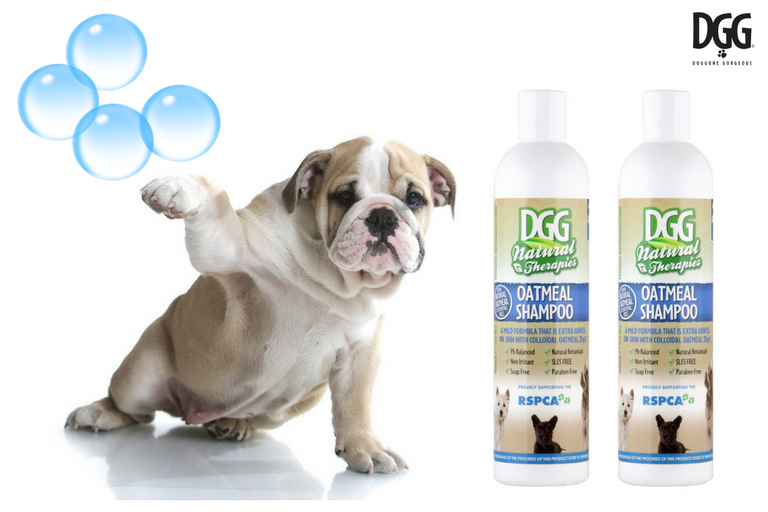 Our Natural Therapies range of grooming products are exclusive to our friends at PETstock. You can shop online here.